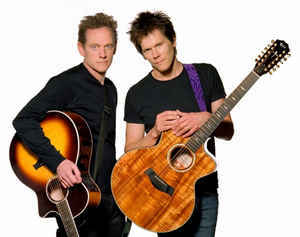 Just as the Bacon Brothers. Fiercely devoted to making music, even from an early age (they cite such influences as the Rolling Stones, the Beatles, Motown, Led Zeppelin, Philly soul, and James Taylor, with mentions from Michael of Pete Seeger, Jimmy Rogers, Chet Atkins, and the Jim Kweskin Jug Band, and additional kudos to Michael from Kevin for his input), the two siblings share a singular body of work that’s found them spending more than 20 years of working the road and paying their dues, resulting in seven albums -- Forosoco (1997), Getting There (1999), Can’t Complain (2001), Live: The No Food Jokes Tour (2003), White Knuckles (2005), New Year’s Day (2009), Philadelphia Road (2011) and 36 Cents (2014) -- spanning rock, soul, folk and Americana. Never content to be typecast, they’re fiercely devoted themselves to the cause of making music, undeterred by fame, fortune or the pitfalls that frequently obstruct the path to success. 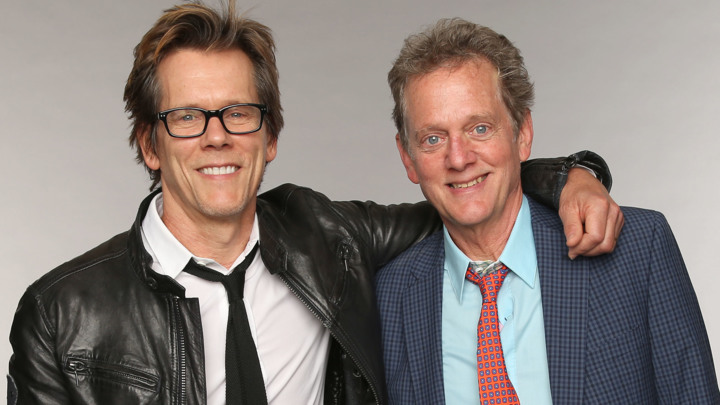 Now, following on the heels of last year’s “Driver,” a resilient tale of lost youth imbued with tender memories, the Bacon Brothers’ new single “Broken Glass” also echoes that personal resolve. 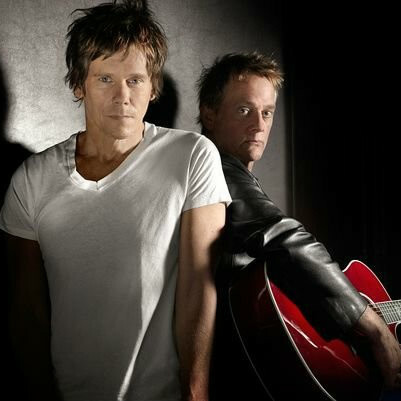 Written by Kevin and recorded at Lehman College studio where Michael teaches, the song was co-produced by both Bacon brothers. “It’s a very personal song,” Kevin says of its reflective musings. “I think that the songs are strong when they are personal. It took a long time. Some come easy, some not. But I'm proud of it and very happy with what Mike and the guys brought to the mix.” That song will be followed by Michael’s composition “Two Rivers,” a tender reflective ballad recorded during the Lehman sessions. Still, while it’s clear that Michael and Kevin don’t view the band as simply a sideline, their commitment is clear. Indeed, the high points have been many. Kevin points to an opening slot for The Band at Carnegie Hall, surveying the Texas landscape in the midst of a lightning storm, rocking the Stone Pony on the Jersey Shore and Cains Ballroom in Tulsa. For Michael, it’s been all about touring in Germany and Japan, and the fascination he feels performing for overseas audiences. So while casual observers may be awed by their Hollywood credentials, critics have been quick to note that the brothers -Michael on vocals, guitar and cello and Kevin on vocals, guitar and percussion -- along with the band that’s been with them since the beginning -- Paul Guzzone (bass, backing vocals), Joe Mennonna (keyboards, accordion), Ira Siegel (lead guitar, mandolin and backing vocals) and Frank Vilardi (drums) -- eschew any hint of glitz and glamour in favor of an ethic gleaned from the hard lessons that come as a result of determination and drive.